'A fictionalised narrative follows a young survivor of the 2011 tsunami in Japan and looks at how his life and town change in its wake. 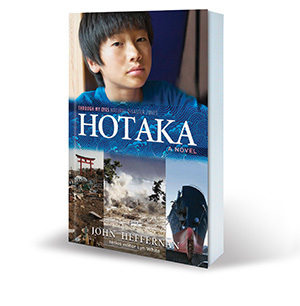 Heffernan’s dramatic account spares its readers little, using its propulsive plotting to highlight not only the immediate devastation of the tsunami, but also its lingering effects. Helpful addenda include a glossary of Japanese words, historical timeline, and sources for additional reading. Fans aging out of the popular I Survived... series may appreciate the same quick pacing and the deeper dive into the aftermath of a natural disaster.